Visit Anfield, the home of Liverpool FC, on a day trip to Liverpool from Manchester. 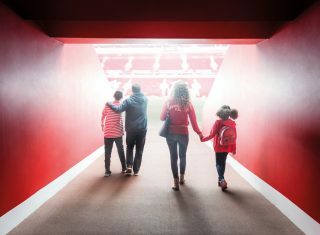 Go behind the scenes at Anfield Stadium, one of the world’s most iconic and historic stadiums, on the LFC Stadium Tour. Meet our representative at The Mill pub and receive your train tickets and a welcome pack containing your itinerary, payment vouchers, maps and travel tips. See Liverpool from the top deck of the open-top City Explorer sightseeing bus. Switch to the LFC Explorer sightseeing tour that takes you to Anfield from the city centre. 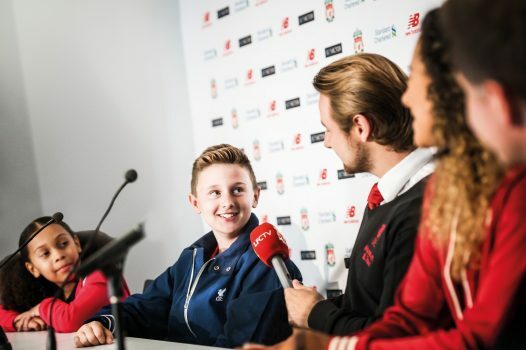 Go behind the scenes at Anfield Stadium on the LFC Stadium Tour. 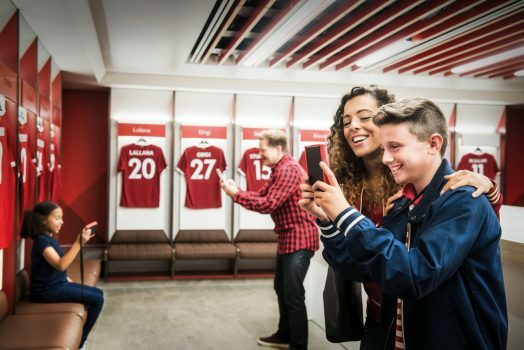 Enjoy epic views of the pitch, visit the Home and Away Team dressing rooms, touch the famous ‘This Is Anfield’ sign and walk down the Players’ Tunnel. Your ticket also includes entry to the Club’s interactive museum and The Steven Gerrard Collection exhibition. Enjoy epic views of the pitch and cityscape from the top level of the Main Stand. 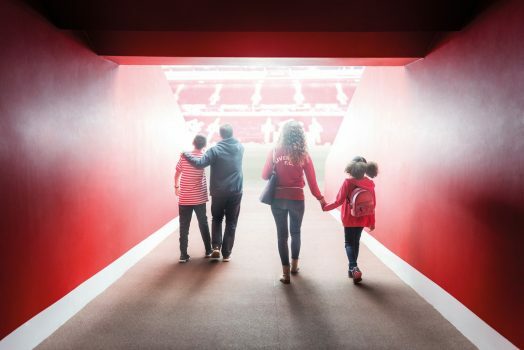 Visit the state-of-the-art Home and Away Team dressing rooms. Practice your interview technique in the Press Room. Touch the famous This Is Anfield sign. Take a spine-tingling walk down the Players’ Tunnel. Throughout your visit you can use the multimedia audio handsets to fully immerse yourself in the tour. Friendly and knowledgeable tour guides will also be available throughout your tour to answer any questions you may have. *languages only currently available during school holidays and weekend. The availability of this day trip is subject to the availability of stadium tours at Anfield and the operational needs of Liverpool FC.